Since 1946, Central Glass Company, which was founded by John Dale and Stanley Gordon, has been a leader in providing quality glass repair, replacement, and contract glazing installations. Shortly after World War II, John and Stanley quickly realized that Brockton was a perfect location to launch their new company. Brockton was going through a transformation due to GI’s returning from the war and a strong shoe industry located in the city. 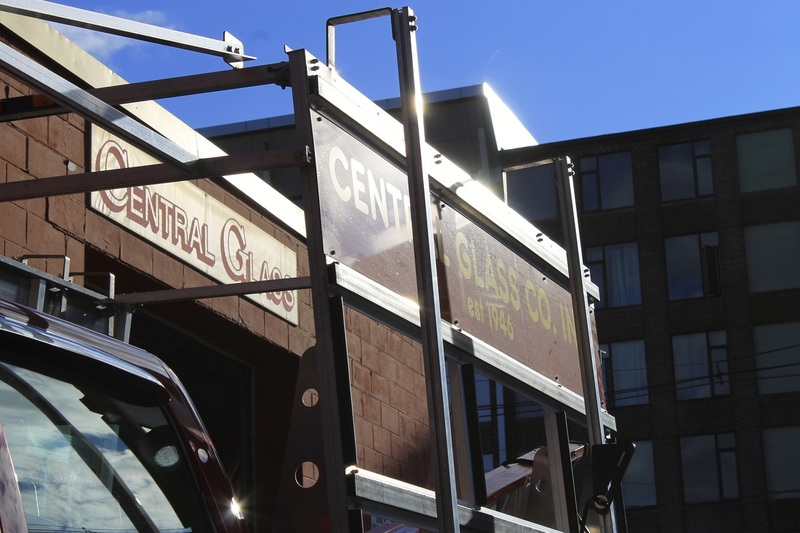 In the beginning, Central Glass created a niche of providing superior service and workmanship for both businesses and homes in the Brockton area. Central Glass opened its doors in a small one room shop located on Centre Street, a short distance from the city center. In 1962, Central Glass moved its operation to the heart of the City of Champions. In 2017, the company transitioned to a beautiful 15,000 square-foot facility in West Bridgewater. Mark Dale, Sr. and Mark Dale, Jr.
What began as a one bay garage with a single office has expanded tremendously to include multiple service bays, two production and fabrication areas, a large office space and retail counter. Central Glass is still a full service glass shop providing service to the South Shore and beyond. Click here to review our coverage map or browse the list below of cities and towns in Massachusetts that we service. With a fleet of service vehicles, we are able to respond to any glass repair at a moments notice, are equipped with the latest equipment and technology to respond to all glass needs, and our technicians are certified to provide the best possible workmanship available in the industry. ​Still family owned and operated for over seventy years, Central Glass is the oldest family owned Glass shop on the south shore. Many of our employees have been with us an average of 20 years and are considered members of our family.